Just Write About It. 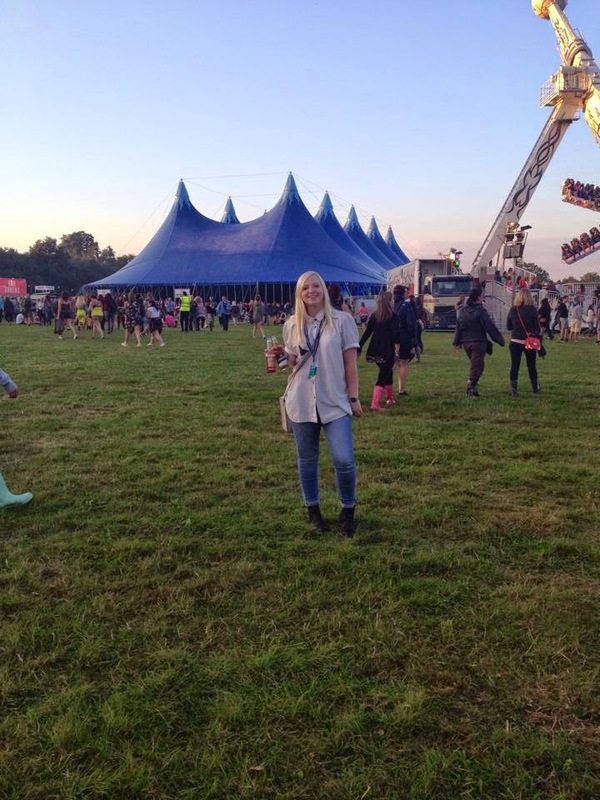 : My Stewarding Experience: Working at V Festival 2014. 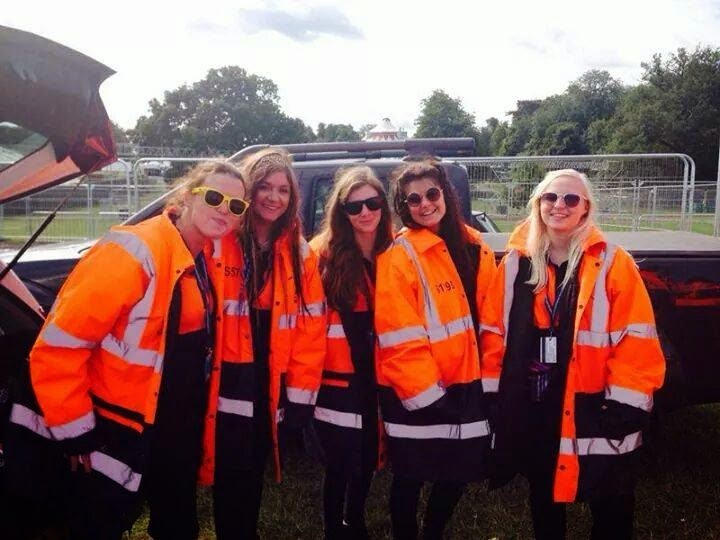 My Stewarding Experience: Working at V Festival 2014. It's 8:00AM and we've left Cleethorpes ready to head to Manchester, but oh wait... i've forgotten a few essentials... aaand again we're off! (This is what happens when it's early and i'm awake). At this moment i'm resembling the bag lady - I have a rucksack, an Asda bag for life for all of my food, my handbag and a sleeping bag i'll attach to my rucksack when I arrive at my flat in Manchester where I've left it for pick-up. When we arrive I realise I've left my keys back in Cleethorpes, and so with a £20.00 bribe I manage to get the maintenance man to let me in. What a bloody farse, I'll get to Essex eventually! Our coach leaves Manchester Shudehill Interchange at 9.40AM and we have no idea what on Earth to expect when we finally reach Hylands Park, Chelmsford. Our coach is delayed and we begin to panic about whether we'll make our connecting coach from London Victoria to the V Festival site on-time to meet the organiser for our ID's and wristbands for the weekend. Luckily, with a speedy yet difficult run through the coach station arrivals to departures, we make the transfer with plenty of time to spare. When we arrive at Hylands park, it's busy, very busy and so we approach a security guard working for the same company as ourselves for the weekend, and he kindly escorts us over to the staff and VIP campsite where we'll be pitching up for the duration of the festival weekend. We meet another guy, Brandon, who is also stewarding for the weekend whilst recieving our ID's and decide to pitch up next to one another. It doesn't take us long to get set up and pretty soon after we find ourselves trying to get into every security gate and entrance, even the secret entrances through the walls to get a slice of the first night's action. Yet we're turned away at every attempt and told that "temporary staff aren't allowed to go out and play". Undefeated, we carry-on trying. This time with confidence and determination and somehow it works! We managed to walk straight through all security measures and we find ourselves back-stage of the MTV stage and we're in! Now it's time to enjoy ourselves! Despite the many Carling's and ciders, we don't sleep very well because of the rain on the tent all night as we try to adjust to the camping life. Slightly hungover, we're at the Show and Event security compound for 9.00AM where we wait to be suited and booted with our uniforms and for our supervisors to assign us to our positions for the fourteen hour shift ahead of us. 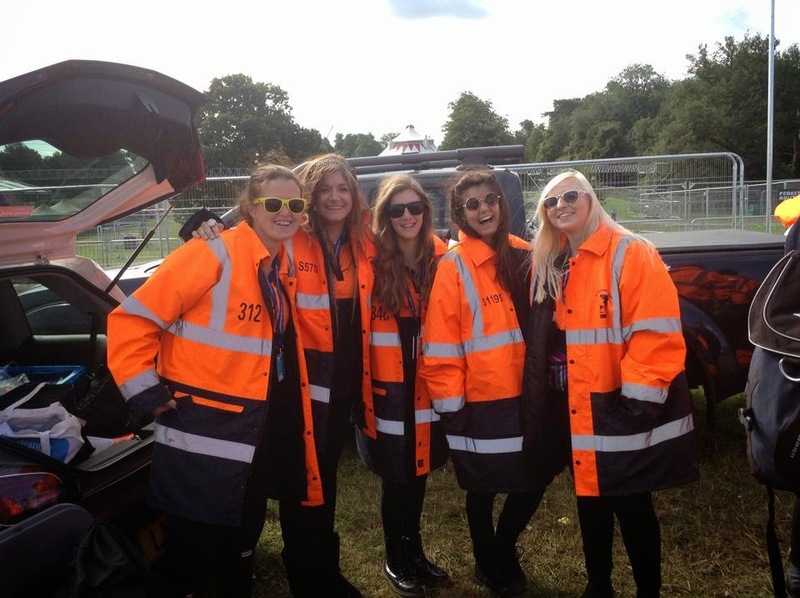 We make friends with a few girls who are in the same group as us, meaning we're teamed with them for the duration of V Festival. We're handed HUGE orange high-vis jackets which drown us and we're sent off with a hot meal voucher for redemption at the compound and our lunch packs. And much to our delight, we're positioned on The Arena Stage all day. I was able to watch every artist whilst ensuring the crowd are all okay and are not unknowingly putting themselves and others in danger. As Above and Beyond take the stage, things turn darker. People are more drunk, drugged up and I soon feel out of my depth. Our few hours training in Enfield the week prior doesn't seem hardly enough for the responsibility I now withhold. Panic attacks, claustrophobia, drug misuse, laughing gas, and far too much tipple. Two stewards from our team sneak off into the crowd, leaving little me, 5ft4, to cover the entire of one section independently. And of course that section just so happens to be the most chaotic. It's my first time working in crowd safety, I have no clue what i'm doing and I feel even further our of my depth than I first did when I took my position in the morning - my dingy had definitely floated out far past the red zone of the ocean. I even begin to feel intimidated at some points. 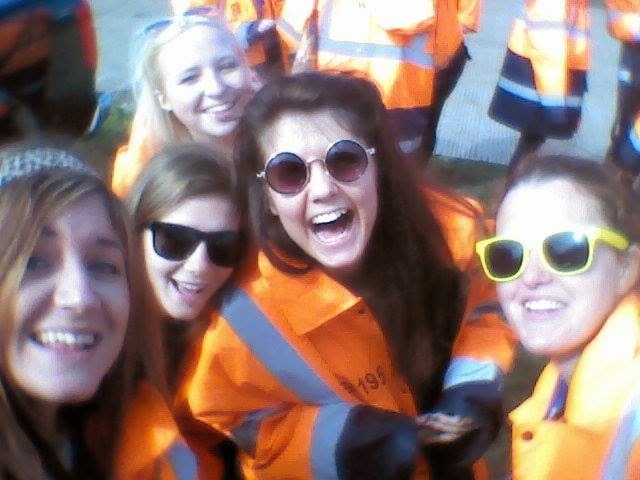 The response team eventually realise and stay close to help me whilst Alesso now encourages the mayhem on his decks. After catching a girl who passed out and having to get paramedics for numerous amounts of individuals I find it difficult to sympathise with some of those I have to get medical help for after stupidly putting themselves in the situation after consuming copious amounts of alcohol. Maybe I'm boring but I was slightly embarrassed that this is the way my generation behaves. Individuals from the crowd begin to be ejected quickly and are full-body searched by a team of men once identified to be involved in suspicious behaviour ie; drug dealing. 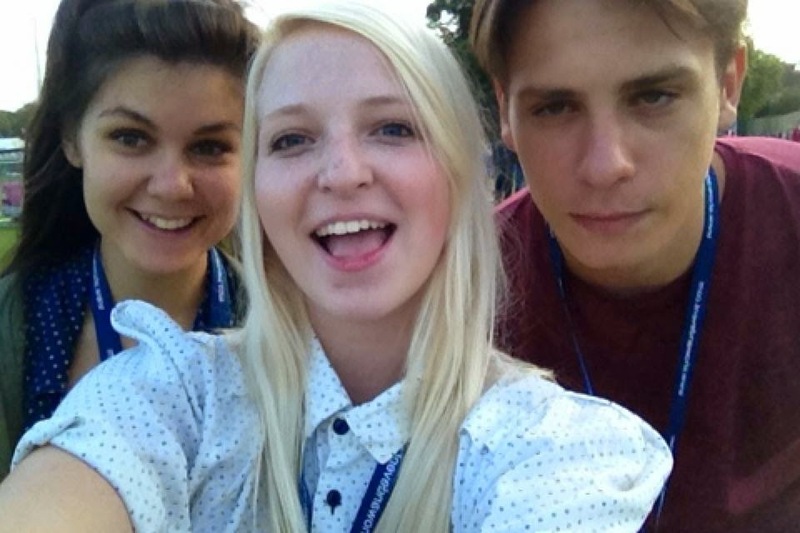 We're so tired once we finish our shift with just three short breaks. 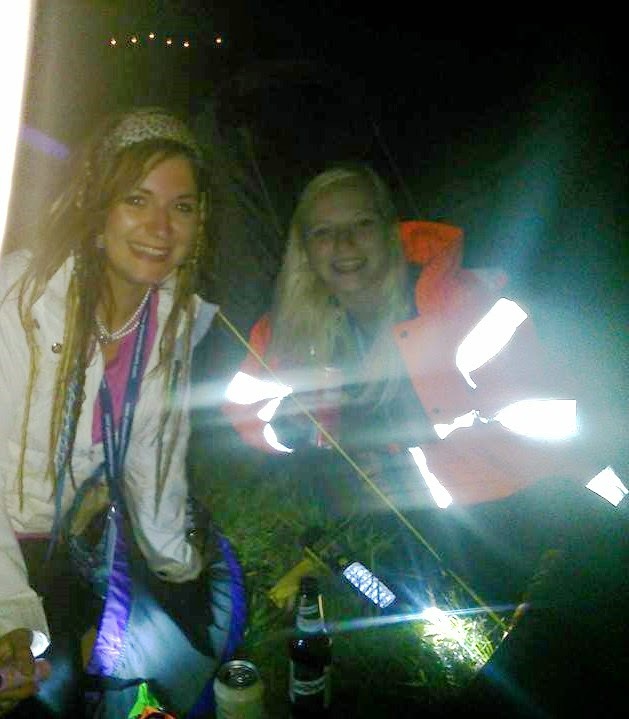 But we have enough energy left for a couple of drinks (unless you're Kim and down a bottle of wine) and a girly natter back at the campsite with the others before hitting the sack, or the sleeping bag in this case, and have no trouble sleeping straight through until the morning. The impatient twats. These generally were angry yobs who seem to think the ropes are placing them under arrest and therefore run underneath it, over it, or pull it with their chests aggressively and running infront of ambulances. Putting their own lives and the emergency in the back of the ambulance's life at risk too. I'm still not too sure what they thought the ropes were there for but obviously not for anything important. A drink was more than deserved and required when we finally finished working that night and so the four of us squeezed into our pop-up two man tent to conclude our working weekend at V Festival 2014, Chelmsford. It had been long, it had be challenging and it had been very tiring, but above all it was amazing! I've learnt and seen behind the scenes at festivals, seen how celebrities are really just normal people behind the image created for them and i've learnt that I definitely need to look after myself and those i'm with when we're in such situations. 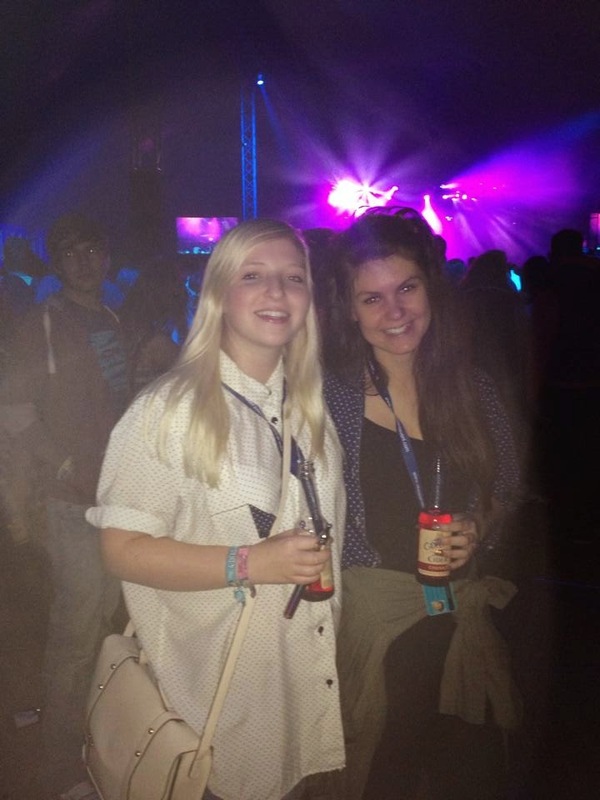 It's been a blast V Festival! Until next time.